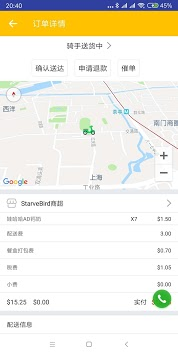 Starve Bird is a professional Food delivery ordering platform! 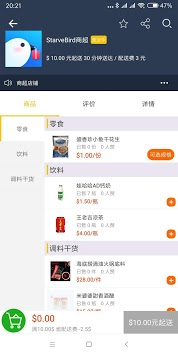 Ordering with your mobile phone is more favorable, you can enjoy special food without going out, and every day is a food festival! Cold, snowy, staying up late, don't want to go out? Move your finger and place an order. You can enjoy the food with a maximum of 40 minutes. Download the Starve Bird app now and enjoy the best food at home. -Starve Bird offers restaurants in the city! -Ordering with your mobile phone is easy and convenience, you can order anytime, anywhere also when you order using your mobile phone, you'll avoid the hassle of over-the-phone mistakes. 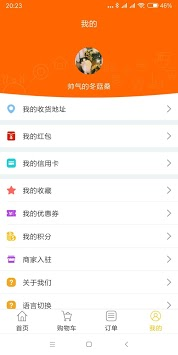 -Pay through a variety of options including Visa, WeChat Pay, Ali Pay or credit card. -The Starve Bird app provides lots of great features. -Order now or preorder your next meal.